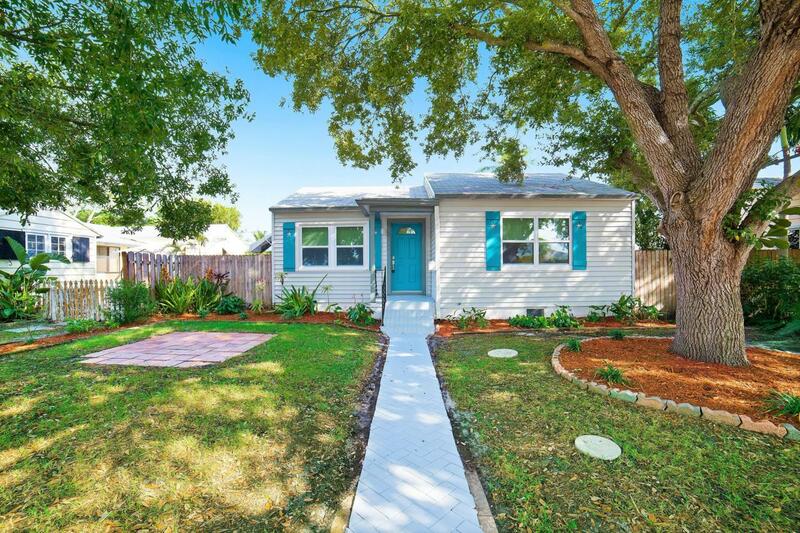 Charming 2 bedroom, 2 bath Lake Worth home with BRAND NEW impact windows throughout! New A/C, updated kitchen with quartz countertops and stainless steel appliances and room for a floating island or kitchen table. Fully remodeled hall bath. Large master boasts his/her closets plus linen storage and updated bathroom with dual vanity. Wood flooring throughout living ares and bedrooms and water resistant vinyl flooring in kitchen and bathrooms. Spacious fenced backyard with large covered patio offers plenty of room for entertaining. Mature trees shade the front yard from the afternoon sun. Only minutes from dining, shopping and local beaches.